The average American home and business is chock full of electronics, including computers, phones and office equipment. It seems like every day, software and hardware components are being upgraded, making the equipment we use virtually obsolete. All that innovation can be great for electronics companies and the consumers and businesses that benefit from state-of-the-art electronics - but getting rid of the old, outdated stuff can be a real headache. That’s because even though you may not realize it, you can’t just heave an old computer or fax machine into your garbage can and forget about it. Electronic devices contain materials considered environmentally hazardous, and tossing them into landfills poses a significant threat to drinking water, the soil and even the air we breathe. As a result, most electronics have very specific rules and regulations regarding their disposal, and if you run afoul of those rules, you can be fined - heavily. Knowing where and how to dispose of electronics properly can be a hassle too, especially since the regulations regarding their proper and safe disposal seem to change about as often as the electronics themselves. 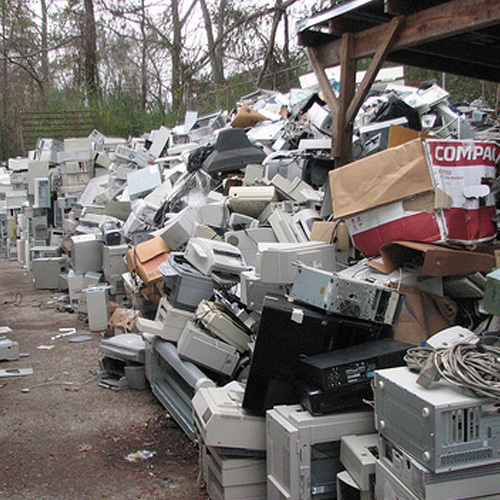 In short, getting rid of e-waste can be a real hassle for the average DIYer. The solution: Hire an established junk disposal company with experience in handling electronics. Get rid of your electronics responsibly - and affordably. 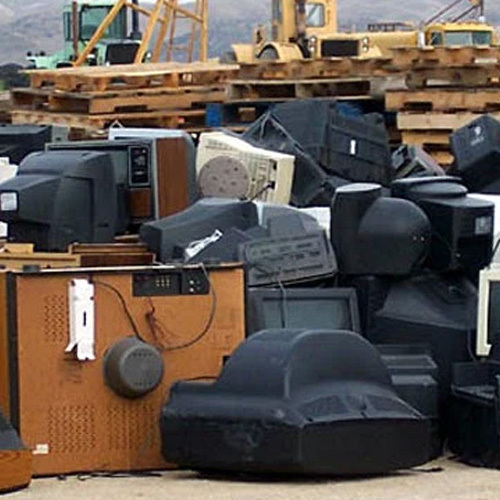 As a top-ranked electronics waste removal company in New York City, we provide dependable, affordable junk disposal services for homes and businesses in Brooklyn, Manhattan, the Bronx, Queens and Staten Island. To learn more and to schedule a free evaluation and estimate, call 1-800-299-5865 today.